The soldiers nailed Jesus to a cross. Then the soldiers divided Jesus' clothes among themselves. They gambled with dice to decide which clothes each soldier would get. Just as the soldiers at the foot of this cross gambled for Jesus' clothes, people still gamble on the Cross of Christ today. Anytime people refuse to recognize who was crucified on that Cross, they gamble their future—their eternal future—assuming that Jesus was only just another man. The stakes of this gamble are incredibly high. Either Jesus offers eternal life with God or he is a delusional, self-appointed messiah. Skull Hill leaves no other places for us to place a wager. For those who believe in what Jesus did at this Cross and commit their lives to him, their faith promises them life. 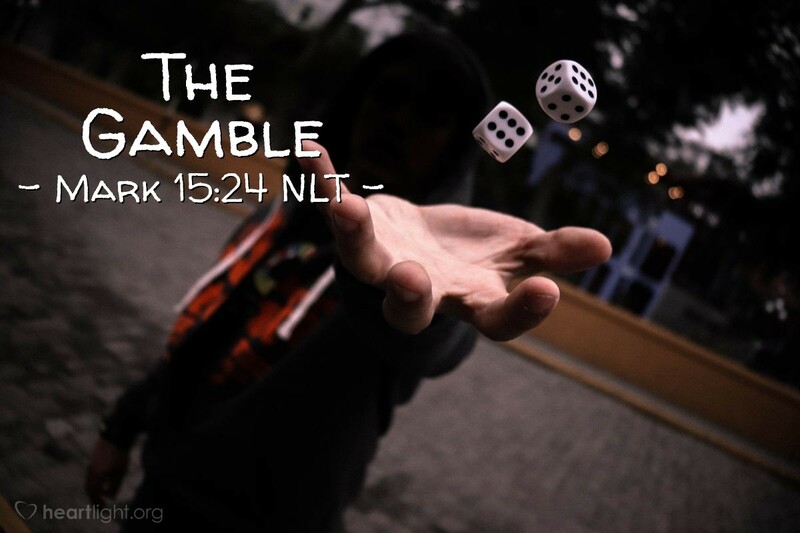 For those who do not believe, there is only a horribly risky gamble that this Jesus was just another man. We know from Mark 15:39 that at least one soldier acknowleged Jesus as God's Son. What have you decided about the identity of this man, Jesus, on this Cross?